CBS just announced that Barbra Streisand will presenting at the 70th Tony Awards on June 12, 2016 - this will be her first appearance in 46 years! Believe it or not, this will mark her first appearance at the ceremony since 1970 when she received the “Star of the Decade Award.” The homecoming is perfect timing since Babs is releasing her third Broadway duets album, Encore: Movie Partners Sing Broadway, after completing her nine-city North American Tour in August. Last month, Streisand turned 74, and continues to wow her fans in recent concert performances. Her film career is still active, in fact, Variety reports the legendary singer-actress-director is in advanced negotiations to make a new film version of “Gypsy” with Oscar-winning director Barry Levinson at the helm. Streisand as Mama Rose! I can't wait to see it! I wonder who'll be cast in the other lead role of June? Lady Gaga, perhaps? 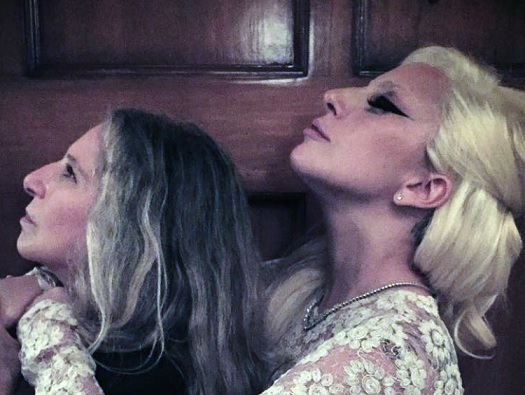 Lady Gaga posted this image of her and Barbra Streisand on social media. Perhaps the ladies will be sharing some scenes on the silver screen? Or even recording a duet?